Perplexus is a bendy, trendy, can't-put-it-down challenge! Can you move the marble through the maze? It's easy to play, but hard to master! 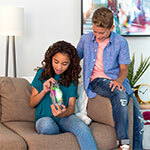 From the makers of the original 3D maze game, Perplexus, comes Perplexus Light Speed—the 360-degree twisting, turning maze game that breaks barriers with flashing lights and sounds that control the action of the game. The orb-shaped center prompts you through the fast-paced challenges while the pulsating music and sound effects elevate the tension to new levels. Navigate the ball from one indicated goal color to the next without falling off the winding, spiraling and zig-zagging path. With your adrenaline racing it takes quick reflexes and precision timing to complete each mission. With three game modes you can play individually. Or team up with friends to conquer the timed challenges. COLORFUL 3D MAZE: Maneuver the ball through endless twists and turns to reach the purple, green, blue or yellow goals surrounding the central orb. Can you navigate your ball to the next color goal without falling off the twisty track? Follow the colorful light commands to test your skills. 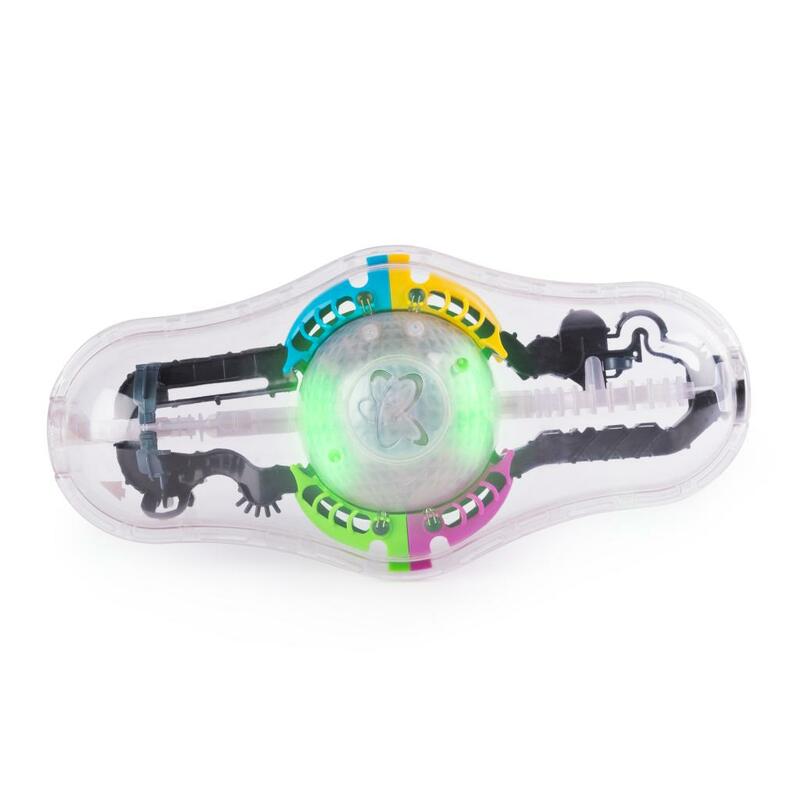 LIGHTS AND SOUNDS: From the minute you power the game up, the center orb takes control with flashing lights and pulsing music that commands you through a programmed sequence of color goals. The random order of color goals keeps the game exciting with every twist and turn. 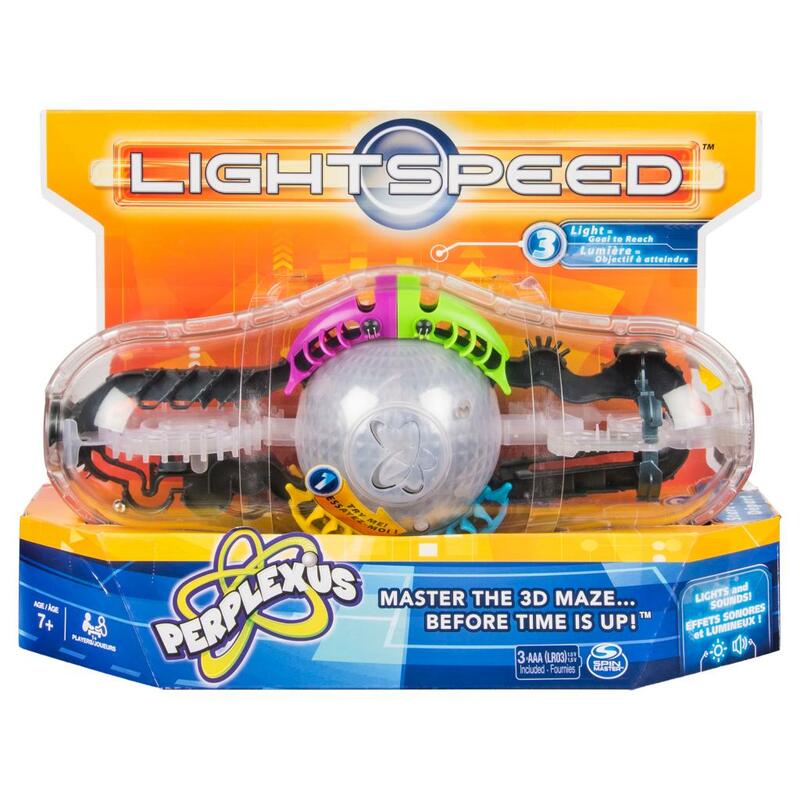 3 GAME MODES: Perplexus Light Speed has three game modes with increasing levels of difficulty. Beginners can navigate the ball through 20 levels of play. For more advanced players, speed is everything as you maneuver the ball to as many color goals before time’s up. For more challenging fun, team up with friends to take turns getting from one color goal to another all while passing the game unit back and forth. With so many ways to play, there’s always a new challenge ahead. Where’s the ball? What’s the color goal? How much time is left? No pressure! 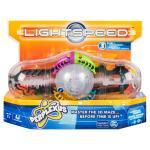 Perplexus Light Speed is a great gift for kids aged 7 and up. 3 x AAA batteries included. 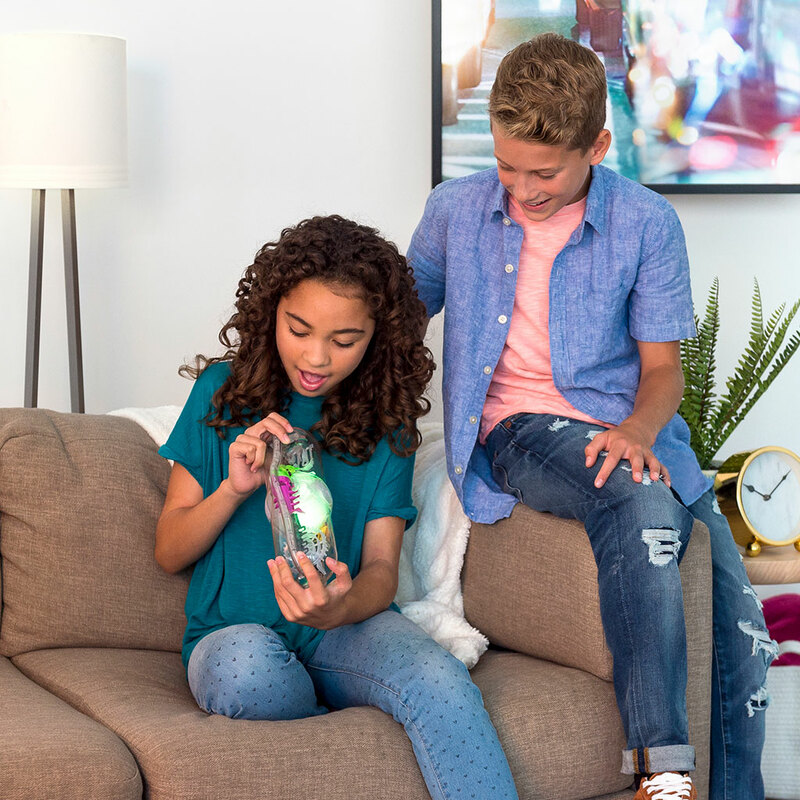 If you’ve mastered the original Perplexus or it’s your first time racing through a 3D maze, power up Perplexus Light Speed for twisting, turning light-up fun!